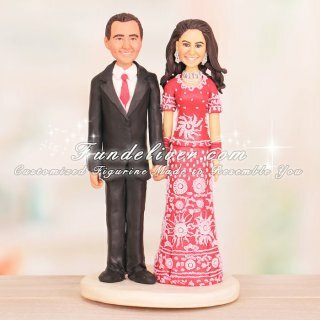 This is a completely customized Pakistani wedding cake topper ordered by one of our customers. 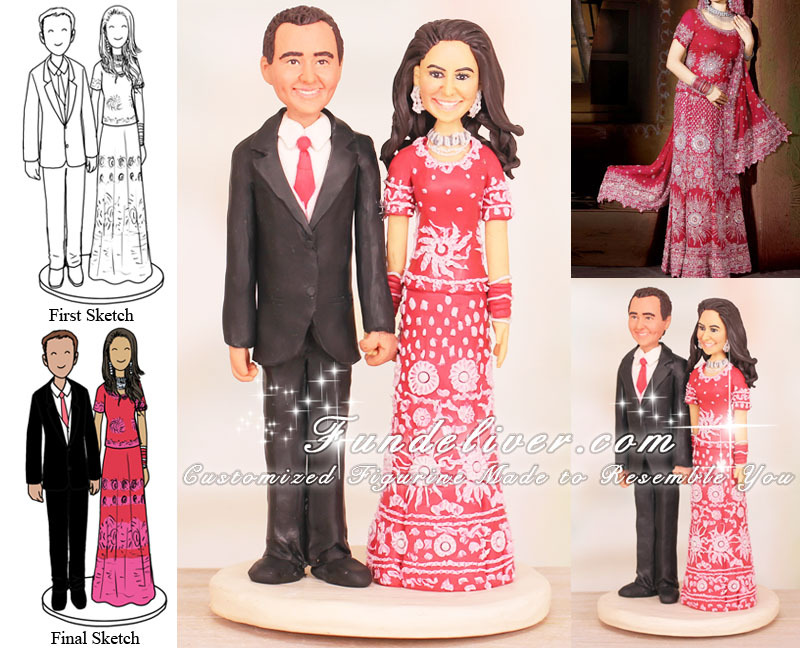 They would like the bride to be in her traditional Pakistani wedding dress, similar to above right top image but in shades of pink and pomegranate. They do not want the headpiece, just long wavy hair is fine. For the groom, instead of traditional Pakistani clothing, they would like him to be in wedding suit. Usually our figurines are sort of bobble head effect, the heads are slightly larger than bodies. But they would like a slim one with small heads, which is hard to sculpt, thus lead to extra $100 charge.